This Charlotte home boasts a new kitchen with an oversized island featuring granite countertop, custom cabinetry and lighting. 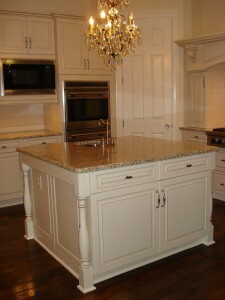 If you are looking for a custom kitchen for your home? Contact Henderson Building Group at 704-201-1429 or send us an email.